Witnesses who saw JFK’s head up close after he was shot, describe damage that is quite different from what shows in certain autopsy photographs and x-rays. And the contrast between the two – the damage they describe, and the evidence on films is so radically different, many researchers suspect evidence tampering. There are people who defend the authenticity of the evidence by “explaining” the problem with theories that may sound reasonable – but some of these people promote their work in the following ways: (a) they omit significant information that challenges their ideas; (b) they pad their work with irrelevant information – thus obscuring the paucity of proof of their main thesis; (c) they try to shape ambiguous language to mean only what they want it to mean; (d) they make amateurishly omniscient assertions… “This is irrefutable proof… There’s no other explanation… This has to mean…”; (e) they list people who presumably agree with them without showing the reader what exactly they had agreed with, and some of the people are in rest homes, or in graves, or otherwise are hard to reach. John Canal, retired USAF Senior Master Sergeant, has a theory designed to explain away two major issues with JFK’s head wound: (1) how the alleged entrance wound, described by the pathologists as low in the head, was four inches higher, as interpreted by medical panels who later studied the photos and x-rays (not the body); (2) why the back of the head pictures show no wound at all, not the big obvious opening described by Parkland doctors and others, and not the smaller entrance wound. Canal has promoted his explanation in three different articles, one in 2013 in Max Holland’s Washington Decoded, and two more in something called “Student Operated Press,” The SOP 2014, and The SOP 2015. Canal’s theory has multiple parts: (a) he insists the main photo in question (see below) was taken after the morticians reconstructed the head; (b) reconstruction involved moving the scalp from the back to the front of the head, to cover any gaps that might be seen, should there be an open casket funeral; (c) the entrance wound, low in the back of the head, got dragged to the top of the head; (d) the back of the head looks undamaged because the photo was taken after bone was put back in and the scalp was sewn shut. This reconstruction is supposed to hide damage from viewers of an open coffin funeral? Then why did they leave that bone flap in front of the ear still flapping away? Surely this photo was not taken when reconstruction was completed. We can be generous and say it was taken during the reconstruction, but Canal presents no proof of that either. What is presumed to be the wound is a flat-looking area of light, watery, reddish brown – one of many in the photo – with hairs growing out of it, apparently. If you blow it up, you will see an “X” crisscrossing through it. Possibly these are hairs. “X” marks the spot. Hairs? If you have ever seen an entrance wound in scalp created by a jacketed bullet traveling at medium high velocity, you will know that it looks nothing like this. The skin is crushed between bullet and bone, and appears quite dark. Lift up the scalp, and the edges of the hole are still apparent. The X’ed image in the photo does not look like a hole at all. But this is how the wound is described on page 104 of HSCA Volume VII: “The inferior margin of this wound, from 3 to 10 o’clock, is surrounded by a crescent-shaped reddish-black area of denudation, again presenting the appearance of an abrasion collar, resulting from the rubbing of the skin by the bullet at the time of penetration. 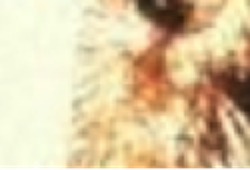 From 12 to 3 o’clock, there is a suggesting of undermining, that is, tunneling of the tissue between the skin surface and the skull…” They put this description under a drawing of the photograph. The above description is a conflation of the drawing and photograph. I see no “reddish-black area of denudation” in the photograph – but the drawing certainly has a black and white equivalent. As you can see, the “wound” is much darker, has more dimension, and rolled edges. It looks like a hole at least. Not one of these characteristics appears in the photograph. It is the drawing, not the photo, that John Canal presents in his articles. To the uninitiated, the drawing may appear to display a wound. 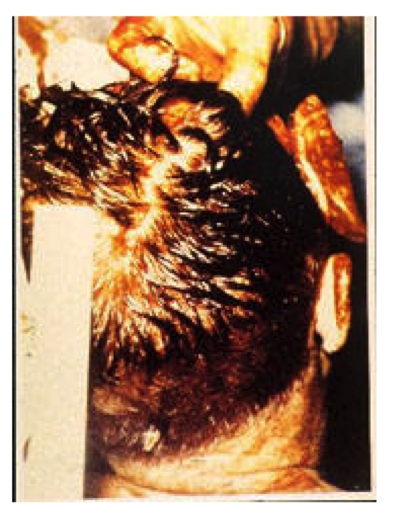 Kennedy’s hair was quite short in the back, including the area where a bullet allegedly entered. And it was even shorter below that area as it approached the neck. As you can see from the photo, the hair all around the “wound” in the cowlick is much too long. No witnesses said pictures were taken during or after the reconstruction of the skull. None said scalp from the EOP area was dragged to the top of the head. Notice that he leaves out Tom Robinson, the mortician who said many things that challenged the official story. Canal does not report what Van Hoesen told the ARRB, and it does not help his theory any. Scalp Borrowed From an Area Missing Scalp? It is well-established that witnesses, including a prominent brain surgeon at Parkland Hospital, said both bone and scalp were missing from an area in the back of the head that included the occiput. The lead pathologist who wrote the autopsy report, James Humes, was vague about a lot of things, including how much of the great defect involved occipital bone, but he did admit the wound was “somewhat” in that area. In any case, the back of head photograph presented earlier in this essay shows no such defect in bone or scalp. According to Canal, scalp was borrowed from that area – even though it was already missing scalp – to cover the top right of the head. 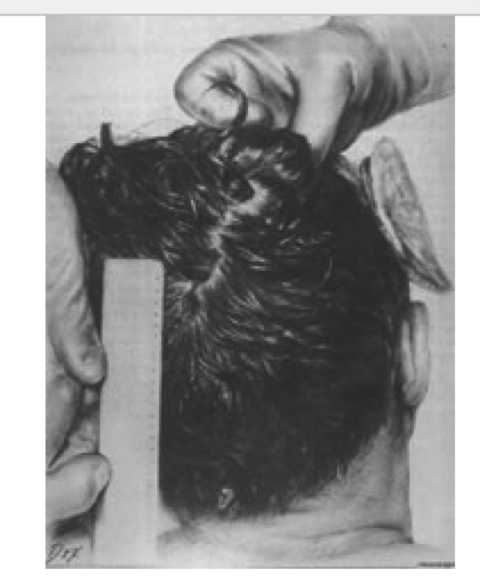 “Specifically, the cosmetic repair involved first suturing the tear in his rear scalp until it was closed, and then, after undermining, stretching the scalp until it covered the large deficit in the top/right/front of Kennedy’s head where the bullet had exited, bone was blown out, and scalp missing or badly damaged. Not one witness mentioned by Canal says that photos were taken after the autopsy. In the photograph, there is no proof of a small entrance wound. But Canal does not show the photograph. He shows the drawing of it, even though the drawing, and the HSCA description of the wound, do not match the photo. What Canal says is the wound imported from just above the EOP is surrounded by hair that is much too long for that area. How Canal avoids the problem that scalp would not likely be borrowed from an area that has a sizable hole in it: he claims falsely that in the back of the head, the scalp was merely torn. Despite the absence of proof in any of his articles, he said “The evidence for these BOH photographs being taken after the autopsy is irrefutable and so extensive it would not be practical to list here.” The SOP 2015. What is “extensive” is the list of problems in Canal’s essays, but I focused only on those that seem to be the worst. I wrote this essay in response to an email I received from a student at a college in Texas. She was having trouble making sense of these articles and someone referred her to me. I have no opinion as to whether photographs were taken of a reconstructed skull, or when. I only know that witnesses do not support such a claim. While their testimony may be inaccurate or even false, it should be presented. When an author publishes a theory, the author should be the first to let the reader know whatever challenges that theory. The testimony of Tom Robinson (excerpted below) contradicts John Canal’s assertions. Canal said the wound in the back of the head consisted only of “torn” scalp and, rather than an area of missing bone, that bone was merely displaced. He also said the bone was put back during the autopsy. But all the pathologists did was to replace loose bone that had fallen out during their probing. But they could not replace bone that was missing in the first place. When the body was turned over to the morticians, the skull was missing a large area of bone in the back. Its appearance was not the problem; it would not have been visible during an open casket viewing. But it had to be closed to prevent embalming fluid from leaking through it. Robinson did not describe working on the top and side of the head, so we have no details about what was done in these areas – the only parts that would show in an open casket. He just said the top appeared to be “all broken” but not open like the wound in the back. When shown the back of head photo, he said the wound was just above the white spot in the hairline. If he was right, this would mean the wound was rather low.